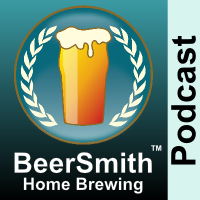 Chris Graham, the President of MoreBeer, joins me this week to discuss chilling your wort. Chris is also an instructor at the prestigious Seibel Institute, and former AHA Governing Committee member. Chris shares some of his recent projects. We discuss chilling your wort when brewing beer including when to do it and why its important to chill your wort rapidly to improve clarity and flavor. Chris talks about how extract brewers often chill their wort including using chilled water additions and an ice bath.